We need policies that speed up U.S. LNG supplies to the world since LNG is perhaps the fastest growing of all energy businesses. The industry itself must create entire advocacy divisions to articulate this necessity, as we are unfortunately seeing a decline in LNG export support in Canada (here) and others looking to stop projects in the U.S. and Mexico (here). This should never, ever be the case. Remember oil and gas industry: 40% of Americans cannot name a fossil fuel. We’ve got our work cut out for us. So, let me help out, again. Given its fewer CO2 and local pollutant emissions (here), natural gas will be the energy source relied on most to meet COP21 environmental goals, and gas is the essential backup source for wind and solar power (here). Natural gas is quickly evolving from a nationally used product into a globalized commodity sold like oil. Today, only about 30% of the world’s used gas is traded internationally, versus nearly 65% for oil. But, the LNG trade is the future because in a perpetually connecting world LNG goes far beyond the geographical limitations of pipelines and can connect distant markets across our vast oceans and seas. Even in a down environment, LNG still grew 3% last year and is a rising 11% of all usage. 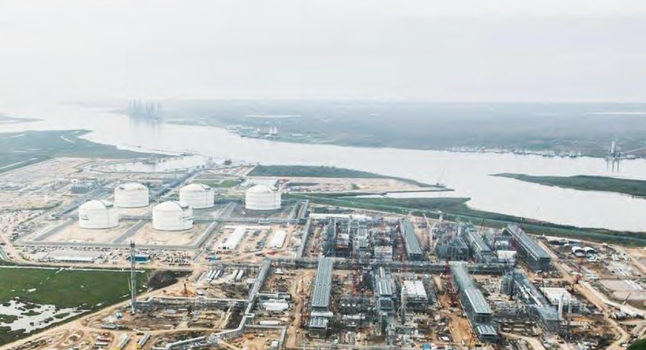 There is great opportunity for the U.S. to make headway in this continually emerging LNG market and buffer the influence of riskier, resource-rich gas suppliers. I’ve already documented the boom in U.S. natural gas reserves that could make us the largest LNG exporter in the 2020s (here). Enter Russia, now the political nemesis of NATO (here)? Russia is the world’s 2nd largest gas producer and easily the largest gas exporter. Of the 348 Bcf/day global gas market, about 105 Bcf/day of that gets internationally traded, and about 22 Bcf/day of that comes from Russia. Qatar is 2nd, exporting about 12-13 Bcf/day of almost entirely LNG, but domestic demand has nearly doubled in recent years and there are no plans for increased export capacity (here). The notion that Russia won’t/can’t be producing copious amounts of oil and gas far into the future is nonsense and indicates an obsession with today that clouds our energy security thinking that must hinge on the longer-term. The fact is that Russia’s power over the globalizing gas market could drastically increase. I’ve already documented how much energy Russia has (here), with nearly 20% of proven gas reserves. Russia is also facing a 10% decline in population in the coming years (here), which will open up even more opportunities to export. Considering a currently unused production capacity of 17-20 Bcf/day (nearly an entire Texas worth of extra gas production! ), Russia’s gas exports could easily double over the next 15-20 years, in a world where overall annual global gas demand is rising by 6-8 Bcf/day and could soar 35% to reach nearly 470 Bcf/day by 2030. In a world where gas could surpass oil to become the world’s primary fuel. Thus, the rapidly expanding gas consuming world is depending on large amounts of gas not just from the U.S. but also from our allies Canada and Australia, free markets, democracies, and predictable energy suppliers unburdened by often inefficient, politically compromised international oil companies and national champions. Russia does have LNG plans, but its gas export business will stay overwhelming pipeline-based, limiting its flexibility to meet the rising needs of the world. There could be 30 new LNG markets before 2030, up from nearly 35 total markets today. As the natural gas market continues to evolve, we have a great opportunity to splash onto the LNG scene, especially now that the Panama Canal is expanded and larger tankers can more easily reach growing gas markets in developing Asia, where demand is absolutely certain to boom over the mid- and long-terms. Not leaving the globalizing gas market to OPEC and Putin should be common policy sense, but the industry simply must do a better job advocating it. We all must become LNG Allies: U.S. and global gas security depends on it. Many importers have already indicated a willingness to work with the U.S. to reduce the power of Russia by even accepting higher prices (e.g., Eastern European consumers). The global LNG glut is most likely to dissipate post-2020, and current homeless LNG is improving liquidity in Asian and global markets, thereby helping U.S. chances going forward. Short-term LNG contracts are now at 30% of all trade, versus 18% in 2010, a constant rise that will make more flexible U.S. LNG more attractive. Some have modeled us exporting 10-12 Bcf/day by 2025 – about a third of the entire current market.